(can you believe that orange naranja color? Drip paint inside then turn and roll bottle around until all sides are covered. Place bottles upside down for excess to run out. but it was worth it, the colors really pop. oooh, I like the painted version. I love this idea!! So colorful! 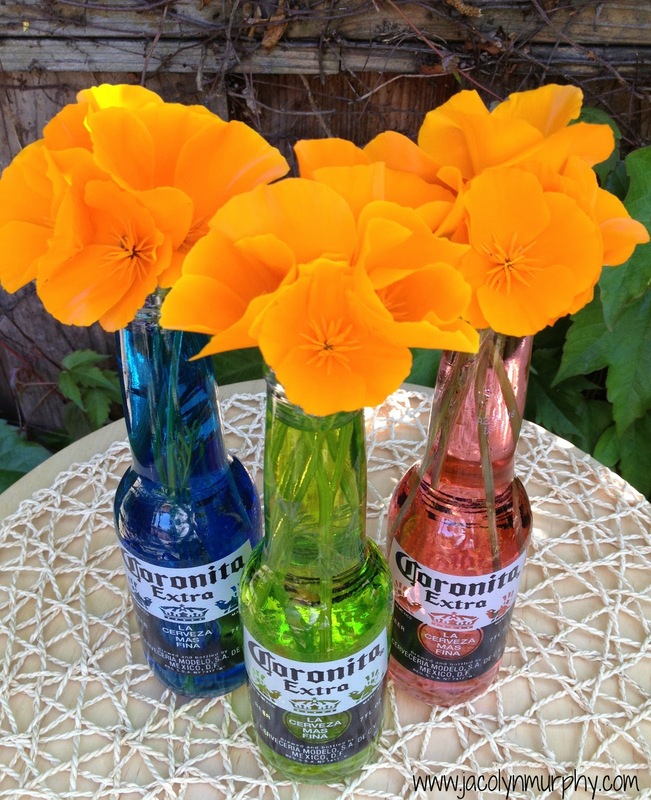 Cinco de Mayo is one of my favorite "holidays'! Being from Texas and having a bit of an obsessive love of tex-mex....te amo these!!! Will have to link into my Cinco de Mayo post next week! What a great way to create a recycled decoration! I love how you painted the inside of the bottle. 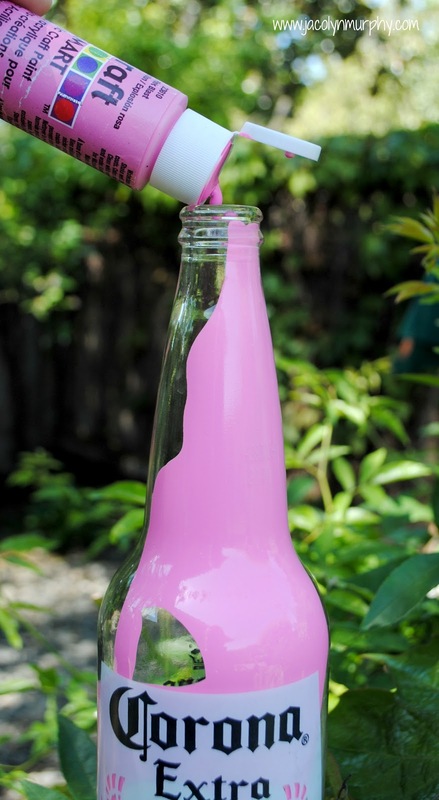 It would be a lot of fun to try this with some other clear bottles for a similar painted look. Thanks for the inspiration! 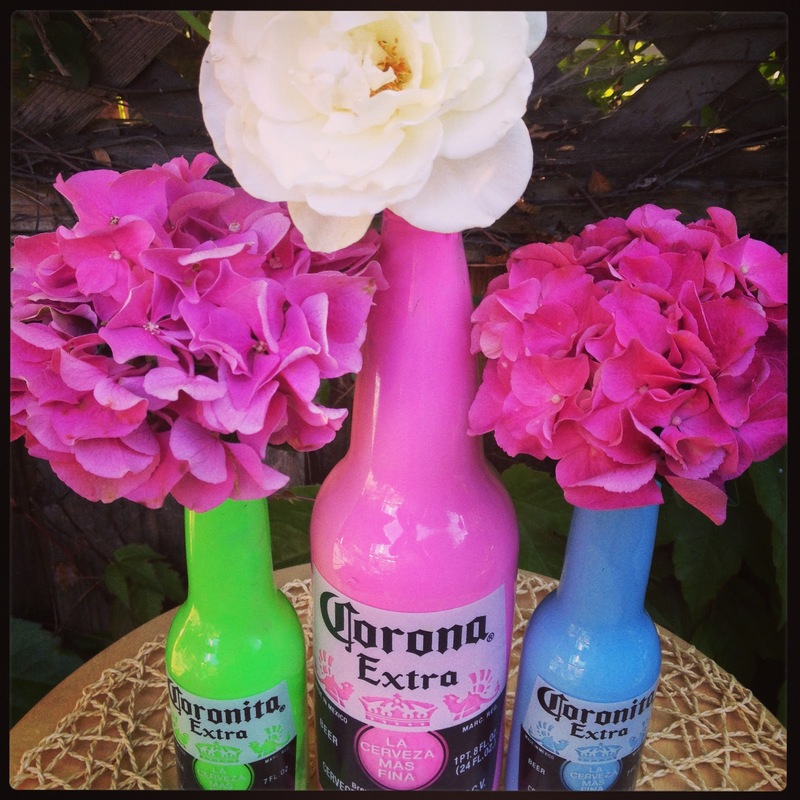 I should make this for my friend who loves Corona! This is such a fun and original idea-love how the colors pop against the label! I love these!!! They really are the perfect centerpiece. 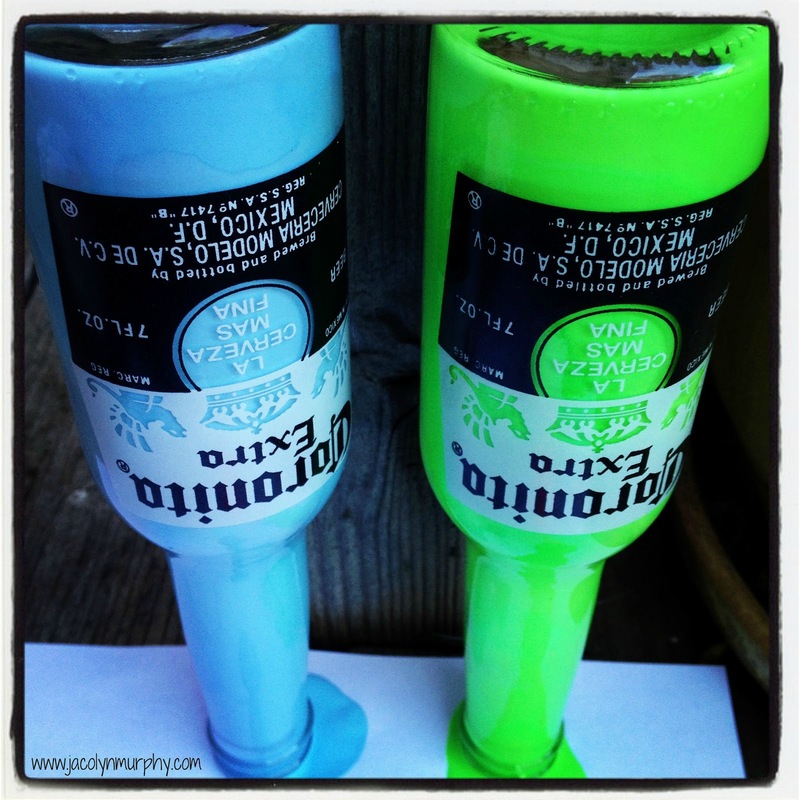 And they match my fiesta printable perfectly! 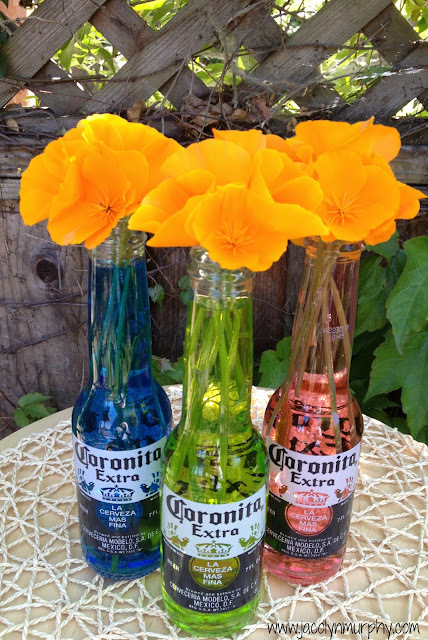 Love both ideas but I really love the painted bottles ... the vivid colors are so pretty! Ole? That is not a Mexican expresion, besides that the idea is great!